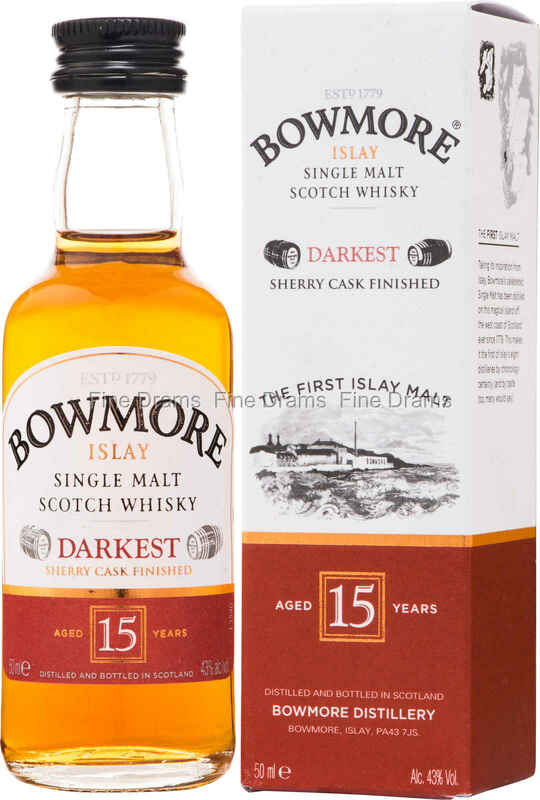 A miniature of this lovely, sweet and smoky whisky from Bowmore. Named ‘Darkest’, this refers to the dark flavours and colours imparted by the sherry cask that this dram has been matured in. Aged for a minimum of 15 years, this gives the whisky a good maturity and balance, with notes of toffee, iodine, smoky peat, tropical fruit, raisins and plums. A wonderful chance to try this delicious whisky, at a fraction of the cost of a standard bottle.